Welcome to the PHBP exercise glossary. Here you will find information on how to perform each of the exercises and stretches within the PHBP programs. Please ensure you have correct posture throughout all exercises, our blog HERE will be able to help you with this, and for abdominal exercises please refer to our post on Diastasis Recti HERE. 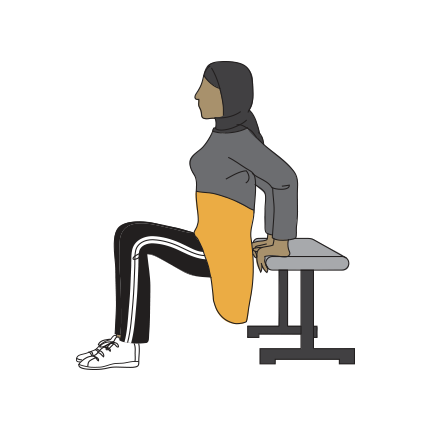 This exercise is used to target the glutes, to target the legs more bring both legs off the bench and back up. Your elbows should be higher than your back. Start with your arms out to the side of you and your palms facing up. 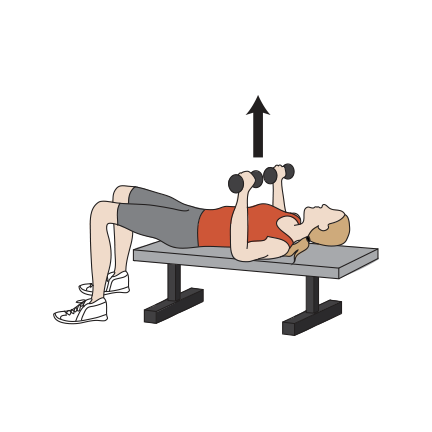 From this position with your elbows off lock and arms straight bring the weights together just above your chest. Knees bent to 90 degrees or if on a bench legs down by the side. 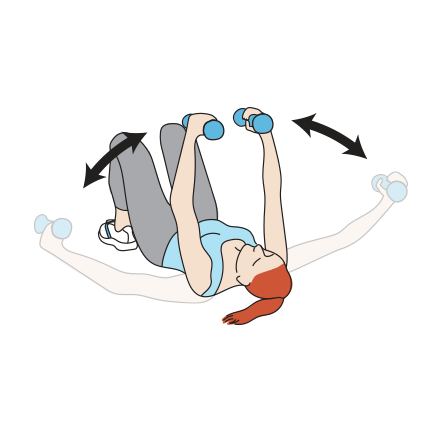 Position the dumbbells at the shoulders with upper arms at about 45 degrees to the body with elbows forward of the shoulder line to avoid stress on the shoulder joint. The palms should face forward. A split squat is just squatting in a forward lunge position. Slowly push the weight up above the head, then bring them slowly back down to just above chest height. 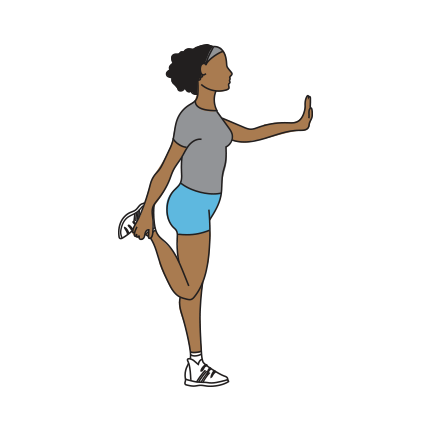 Push through the heels to come back to a standing position.